If the above image looks like a diamond encrusted road leading up to a modern day Emerald City, you’d be half right. 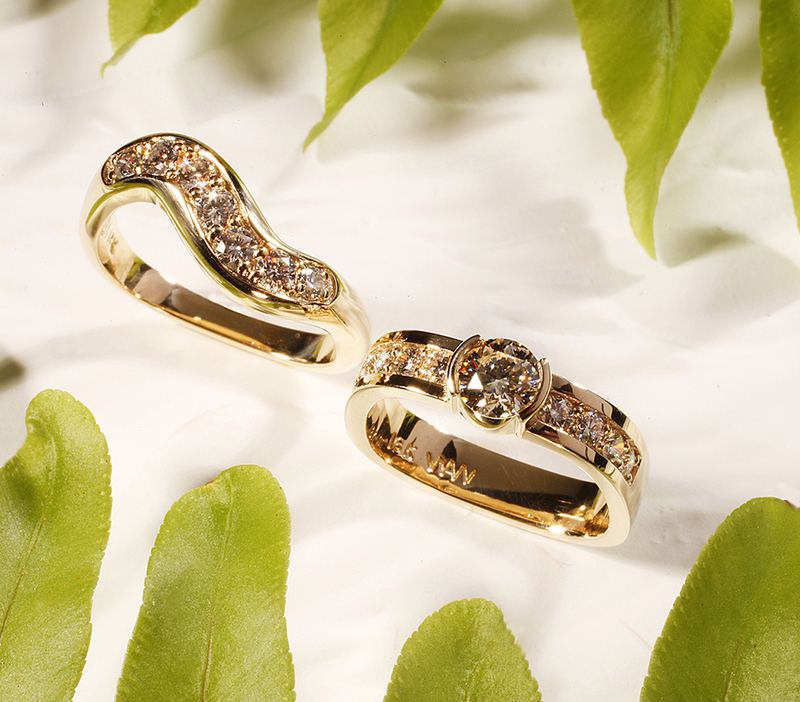 It’s actually one of master goldsmith William A. Weidinger’s latest jewelry creations. 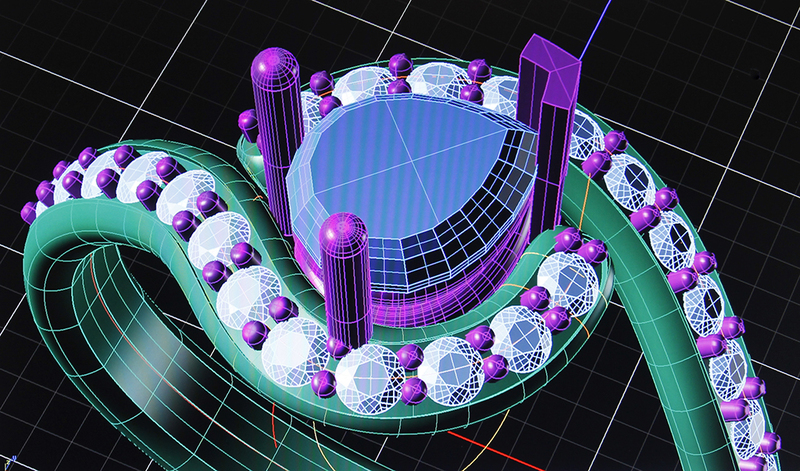 With technology once reserved for the movie industry, 3D Matrix software has moved from the silver screen into all facets of design. And the technology that made snow scenes in The Polar Express sparkle like diamonds, the Cheshire Cat’s emerald eyes glow in Alice in Wonderland and brought children’s toys to life in Toy Story is anything but child’s play. 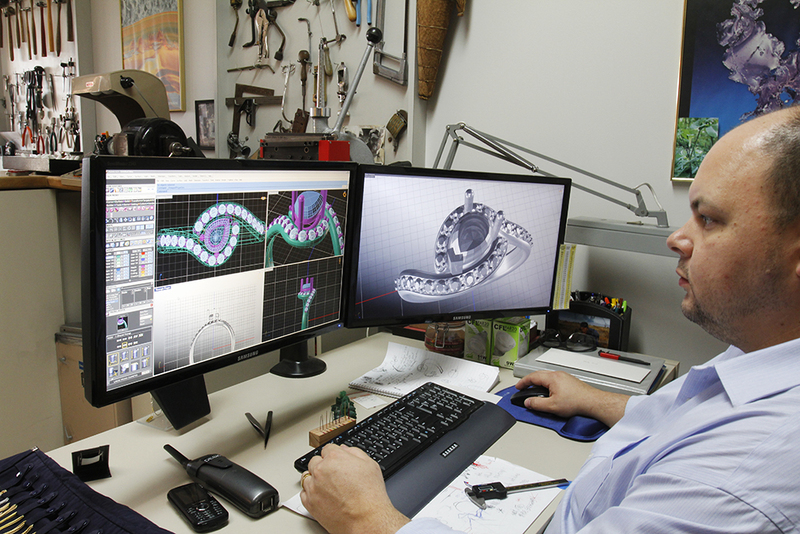 By designing virtual 3D jewelry on-screen, Andy Weidinger is helping his father craft a new niche in high end jewelry. 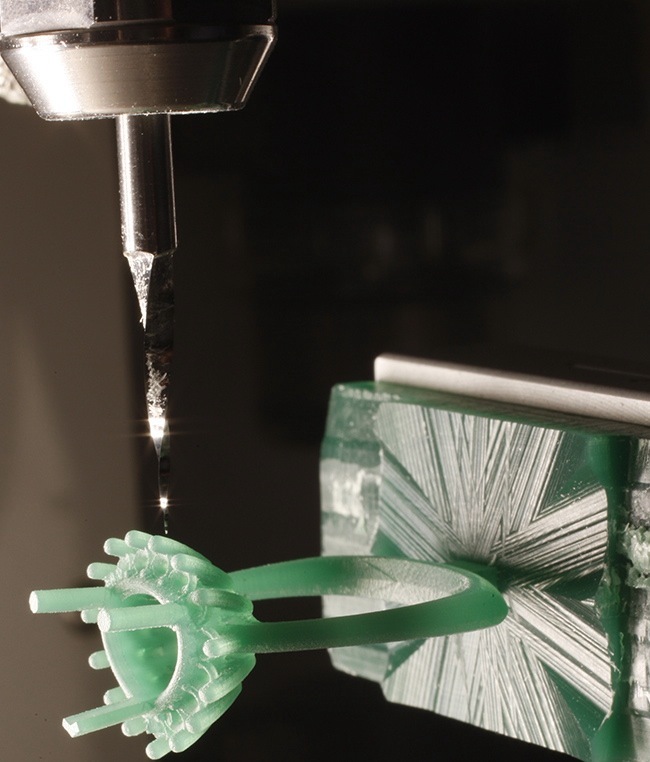 The design’s computer file is output to a CAM (Computer Aided Manufacturing) device like the Revo CNC Mill shown below. 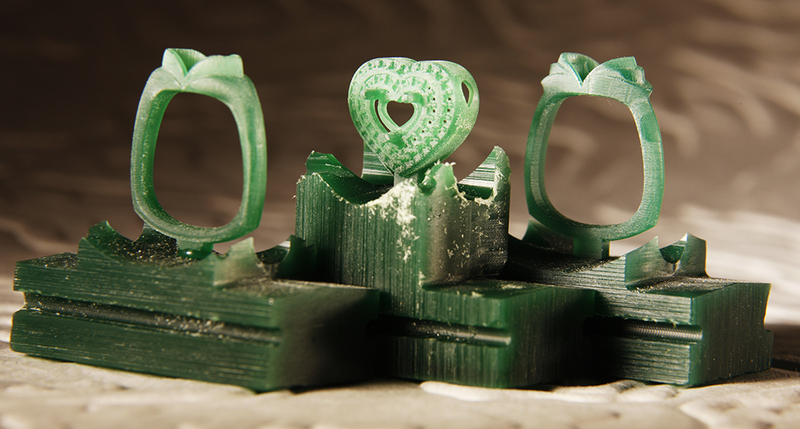 The 5 axis mill cuts horizontally and vertically, creating a dimensionally accurate model from a block of wax. There is something to be said for precision in fabrication. “Achieving perfect symmetry is the goal,” says Weidinger. 3D technology may have cast a new light on an age old industry, but if you visit Bill at his store in Grandview, you’ll still find the master goldsmith seated at his bench examining recently acquired uncut gems, while dreaming of a stunning setting yet to come. Just don’t tell him he’s not in Kansas anymore. 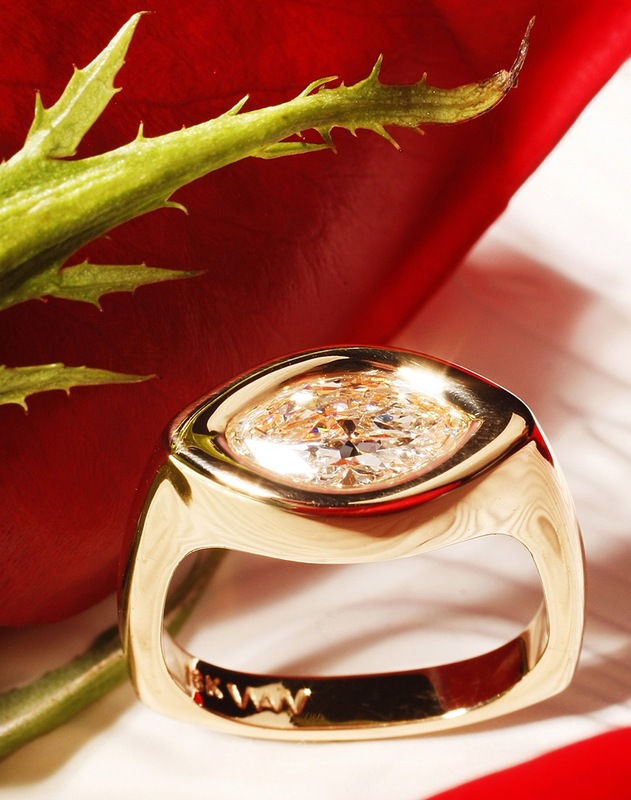 To view more jewelry designs by William and Andy Weidinger please visit williamweidinger.com.